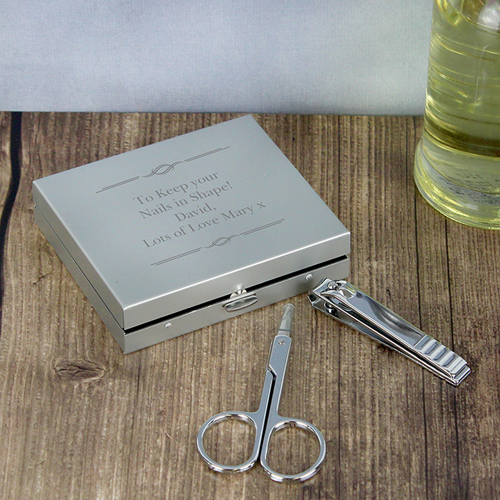 Our manicure set would make the ideal gift for anyone who loves looking after their hands and nails. Our Manicure set features a clasp opening with 5 precision implements presented neatly in a foam divider. This also comes with a mirror conveniently inside the lid of the box. This attractive and practical manicure set contains nail scissors, 1 soft edged cuticle pusher, tweezers, nail file, and nail clippers. This set is perfect for travel or everyday use.